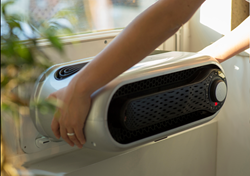 Kapsul receives $400,000 investment from Ben Franklin Technology Partners of Southeastern Pennsylvania (Ben Franklin) to further commercialize Kapsul’s technology and home climate product offerings. Ben Franklin Technology Partners is recognized as a national leader in technology-based economic development and was ranked as a top-10 venture capital firm nationwide by Entrepreneur Magazine. Ben Franklin has also been recognized by the International Economic Development Council and the U.S. Department of Commerce for excellence in technology-based economic development.